The tendency to be tailored is favored by the top designers in Paris this season. Straight line models with long sleeves, either fitting snugly to the arm or slightly full, are particularly appropriate for the street and for informal afternoon wear. These dresses are exceedingly smart in silhouette when worn with the new high crowned hats so popular at the moment ! designed for busts 34 to 44. It can be worn by ladies aged 18 to 30 depending on her girth. The standout feature are the dark blue collars and cuffs made in silk. The next dress is by Brandt and is especially adapted to the needs of the morning shopper, it is designed for 14 to 18 years, with blue ribbon collar and tie strings. The bodice achieves a yoke affect with some beautiful embroidery. The next outfit by Agnes is made from brown wool plaid, with tan jersey collar and cuffs, with tan jersey patch style pockets.Delightful. 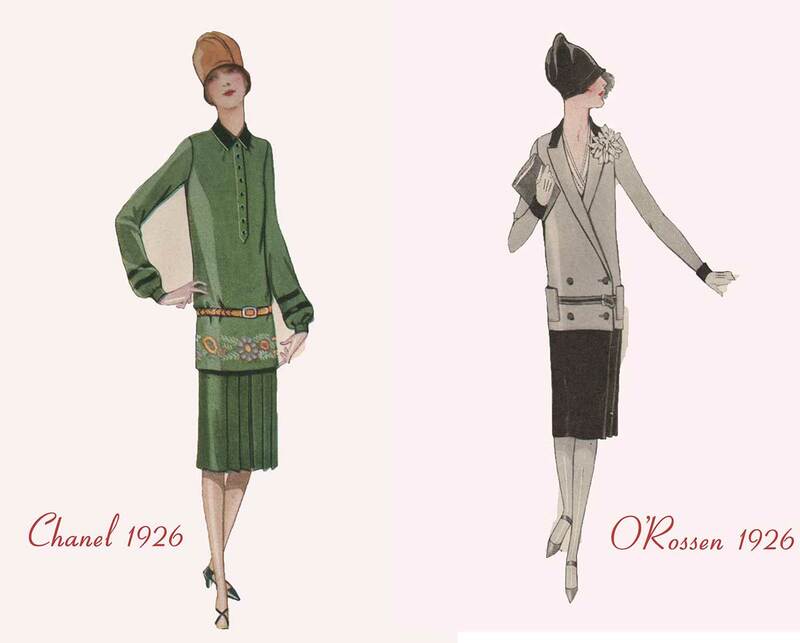 The really smart woman in the 1920s does not look for extremes in fashion. She does not jump abruptly from long skirts to short skirts. And the Paris couturiers, those masters of feminine psychology know this better than anyone else. 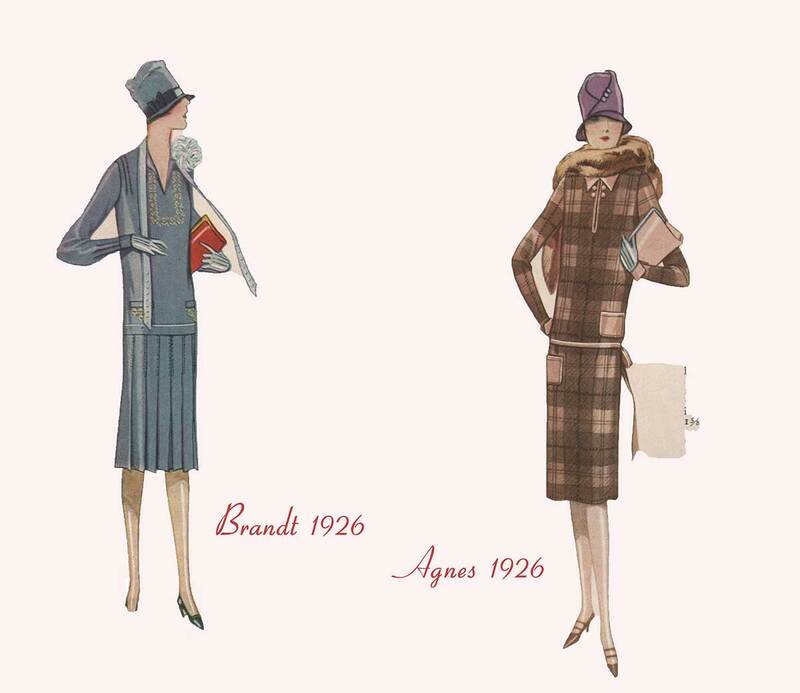 That is why the smartest winter modes are not startlingly different – the well dressed woman would not wear conspicuous clothes if you gave them to her – but they are the logical successors to the Fall collection, with slight changes in arrangement of plaits, the manner of wearing a belt and all the other small but important details. 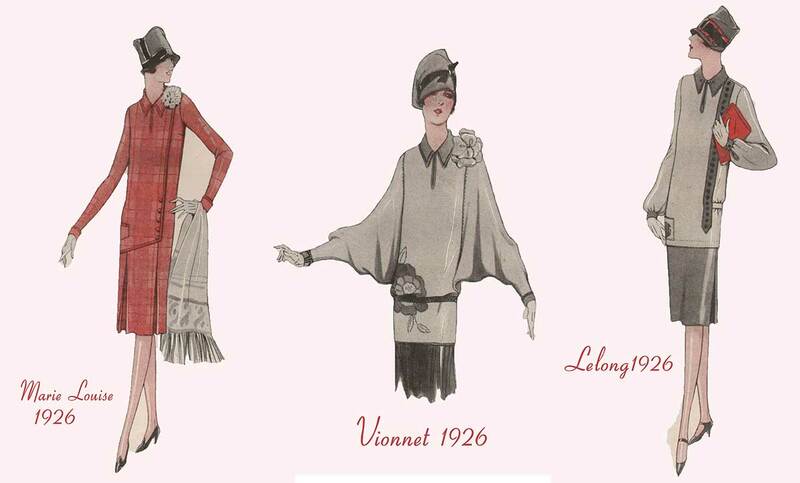 Pictured here are typical frocks by Chanel, O’Rossen, Marie Louise, Vionnet and Lelong that epitomize this new prevailing mode of conservatism. 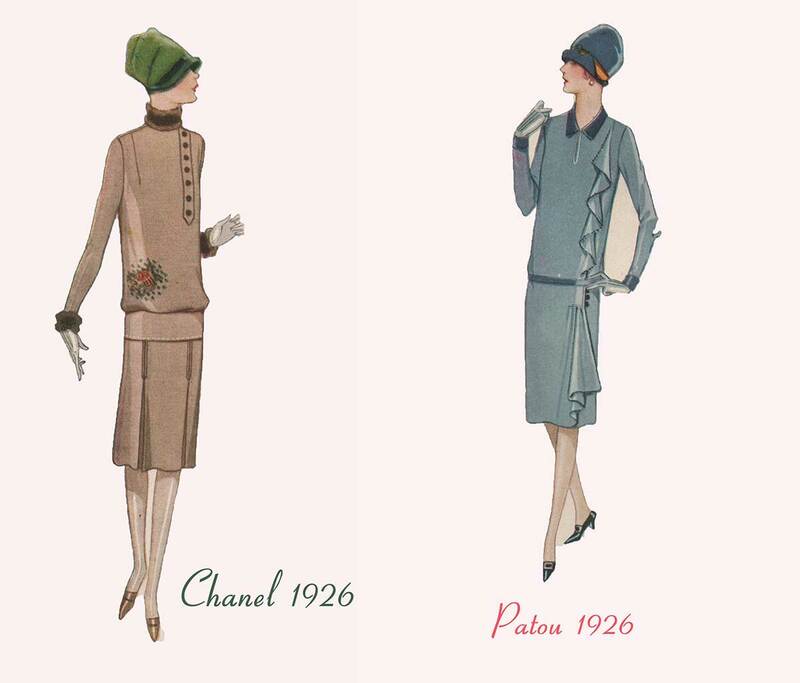 Read our popular Beauty secrets of 1920s Paris women.